A woman who won $559.7 million in the lottery is demanding to remain anonymous. 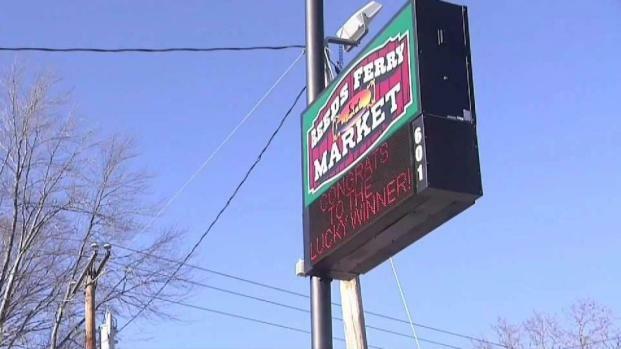 A New Hampshire judge will decide whether a Merrimack woman can keep her identity private after winning a $559.7 million jackpot. The state currently requires winners to come forward under certain circumstances, according to its "Right to Know" law. On Wednesday, Nashua Superior Court Judge Charles Temple heard testimony first from Jane Doe, as she's being referred to, via attorney Steven Gordon of Shaheen & Gordon. Jane Doe's attorneys are fighting to keep her identity private. 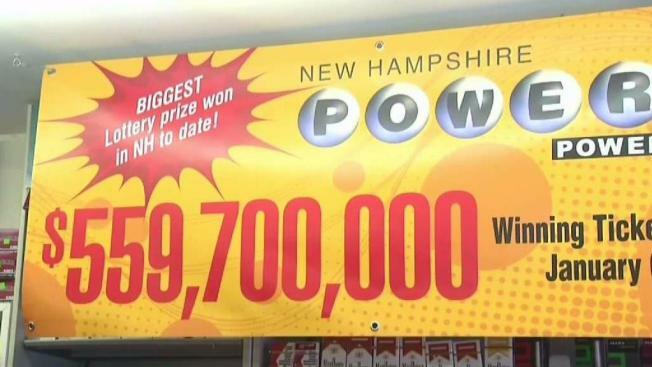 The woman, identified in court papers as "Jane Doe," filed a lawsuit last week against the New Hampshire Lottery Commission to keep her identity concealed, citing that she does not want the negative attention that comes along with winning the lottery. "Instead of her name being the identified party, [put the money in a] trust name," said Gordon. "The disclosure of Ms. Doe's identity will reveal nothing about what the [NH Lottery] Commission is up to." New Hampshire State and Lottery Commission disagrees with Jane Doe's argument, saying the "Right to Know" law provides the transparency needed to guarantee the lottery's integrity. "We'll work with Jane Doe to do anything that we can under the law to make this transition easier, but we have to comply with our constitutional and statutory obligations of transparency to the public," said New Hampshire Assistant Attorney General Jon Conforti. Gordon argues that it's really the Multi-State Lottery Association that controls many of the major decisions related to the Powerball and the actual winning numbers that are chosen. They said the lottery commission does not have much authority, another reason why they should make the exception. Jane Doe signed the back of her lottery ticket as it states to do, however, she wishes to remain anonymous. Once she signed the ticket, she sought legal counsel. In order to keep her privacy, Jane Doe would now like the ticket to go into a trust. However, lottery rules say that you can't alter your ticket or it will be invalid. Judge Charles asked the state if there's anything on the lottery ticket that tells players to wait and create a trust before signing their ticket. They argued that it's not practical to put all that information on the ticket or to give legal information to players. Jane Doe's attorneys are suggesting that a photocopy of the winning ticket be taken and be whited out with the newly created trust, called "Good Karma Family Trust 2018." The public interest is what Jane Doe and her attorneys want to avoid, citing threats to her safety and public harassment as major reasons for the petition. Court documents say Jane Doe would prefer to continue to live a normal life and donate to charities of her choice. "The public has a right to know that way there is a real winner behind that ticket," Conforti said. Shaheen and Gordon have requested that money be transferred into the trust. They estimate Jane Doe is losing up to $14,000 in interest every day. "Since the state knows she's entitled to the money, and we know she's entitled to the money, to let us redeem the ticket," Bill Shaheen said. Shaheen also said their client has experienced a lot of stress since seeking legal counsel. The state said they understand, however, Jane Doe no longer has to worry about money. The state is likely to release the funds while the decision to release Jane Doe's name is worked out. A decision on the fund's release should be made by Wednesday. If the commission says the money can be transferred to the trust, Jane Doe will have access to the funds. However, the issue of releasing her identity remains in court.